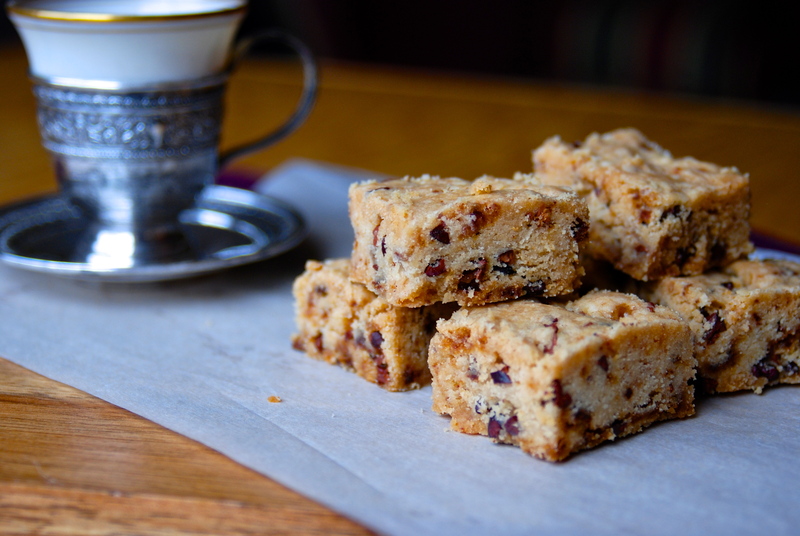 My beloved baking mentor, my Mom, had this recipe she made a lot when we were kids called Coffee Toffee Bars. Although they did have coffee in them, there wasn’t one snippet of toffee at all. It was a shortbread type cookie, dense and rich, glazed with a thin, crackly almond glaze and we would gobble this treat up shamelessly whenever she made them. These bars, however, are not my Mother’s Coffee Toffee Bars. More sugar. Must be winter’s end…..
I’ve been lamenting a lack of fresh foods lately. The transition season is approaching rapidly; that between the depths of winter when root vegetables and long slow aromatic braises seem to be the elixir we all need to the first snap of green vegetables that promise warmer days and less outerwear. 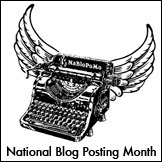 March comes along and it’s like we all draw a long slow breath, eagerly awaiting the day where the very air shifts and the warmth blows in and we forget about 85″ of snow, the endless drifts, the nerve-wracking commutes. Our winter has been memorable, and it’s a noticeable grimace when flakes continue to fall and the slack jaws at the produce counter scan the same old, same old and try to drum up a different beat for those carrots, the sweet potatoes and rutabagas. For me, some respite came with one definitive twist of a channel knife, cutting through the thick zest of a fat lemon and releasing the minuscule spray, that spritz of aromatic citrus that at once says to my weary winter white brain ‘Sunshine!’ ‘Warmth!’ Because we all know that those golden orbs carry the very essence of the sun within their tart flesh; with a firm grip they release their juice, carrying an altogether different sensation to our nose. The white of winter, the stinging scent of a fresh snowfall and a glacial chill in the air is quite distinctive, and it settles into us with a thud as those flakes fall, fall and fall, but among that endless snow, the never-ending white, I twisted up a bowl of lemons, ground the zest off their hides and, in addition to all that sunshine filling my kitchen (if I closed my eyes I could see white sand, a hammock and the blue of the Caribbean) I crushed up three stalks of lemongrass, with it’s sharp citrus-y aroma and racy bite and turned it all into the most amazing and tantalizing Lemon Bar I’ve ever had the pleasure of biting in to. Spring is a tease in March; we have days of sunshine, fickle sun, torrents of rain and then a bone-chilling wind descends to remind us that we’re not quite out of the woods yet, so finding this Lemongrass Bar recipe in the current Bon Appetit, with it’s crumbly tender Coconut Shortbread crust was a perfect tonic for the weary landscape of white that turns gray and gritty as we slip through the doorway to another season. And yes, sugar. 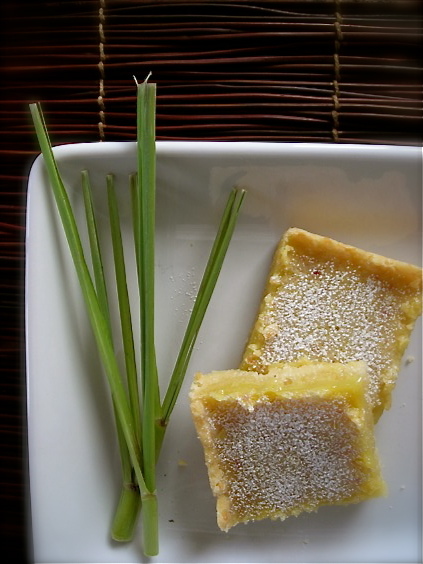 Sweet sugar and the tang of lemon, but cut with the flavor of lemongrass, a perennial grass native to the Philippines. Widely used in Asian cuisine is soups, teas and curries, it’s suitable for all meats, and can be made into lemongrass oil which is used as a pesticide and preservative, and is known to have anti-fungal properties. 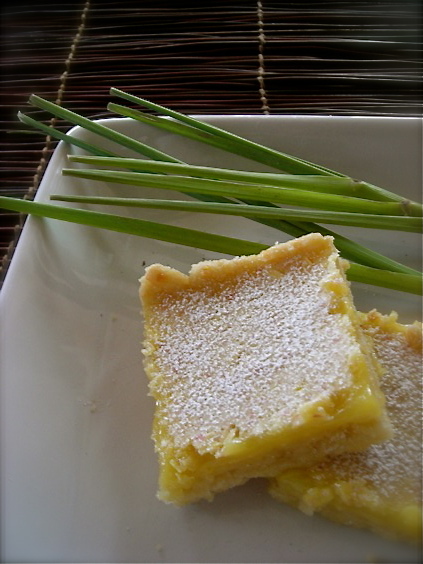 I’ve used lemongrass in savory recipes and love the simple flavor it adds, but the addition of it to these Lemon Bars was genius; the tender white bulb is ground fine with your sugar, then blended with eggs and a little flour to create a luscious filling. The bonus to these bars? Coconut in the crust. Recently I was given several bags of sweetened shredded coconut that I tossed in the freezer to await inspiration. I do love coconut, but find the sweetened version too overwhelming to add to my oatmeal or muffins as I prefer, but in this recipe, cooked into a tender buttery shortbread crust, it was perfect. With the addition of the lemongrass in the filling, adding an extra level of flavor but without the cloying teeth-clenching sweetness of your standard Lemon Bar, these offered up a nice dose of Springtime to push all thoughts of late Winter faster to it’s timely demise. Heat oven to 350° and spray a 13×9 cake pan with cooking spray. For the crust, whisk flour, coconut and powdered sugar together, add butter and cut butter into mixture until it resembles fine crumbs. Use a pastry cutter, two forks or knives or your bare hands. Press dough onto bottom, and 1/2″ up sides of prepared pan. Bake crust until golden (edges will darken more) about 20-25 minutes. For filling: Place sugar and lemongrass in food processor and blend until finely ground, about a minute. Add lemon juice and zest, pulse 3-5 times. Add eggs and pulse to blend. Add in flour, and a pinch of salt. Blend until smooth. Pour filling over hot crust. Reduce oven to 325° and bake until filling is firm, 20-25 minutes. Cool bars completely in pan then cut to desired shape. 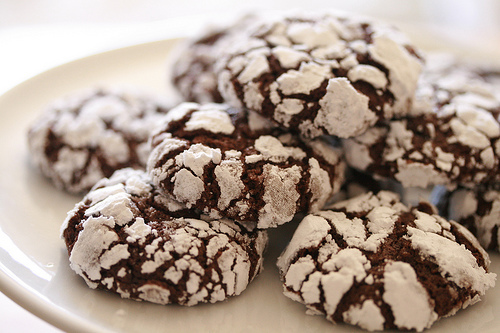 Dust with powdered sugar, if desired, before serving. 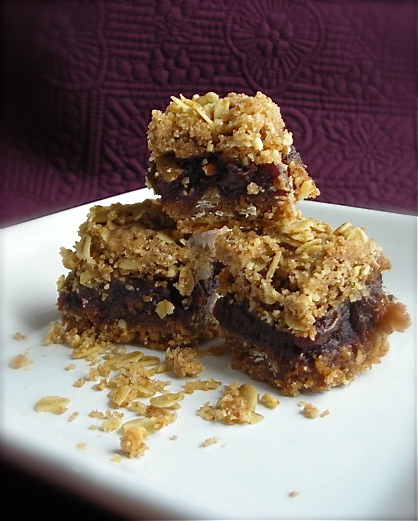 and Nainamo Bars, or as we grew up with, Three Layer Bars, a superbly decadent blend of nuts, chocolate, coconut and vanilla pudding, carefully constructed into a glamorous tower that delights not only the eye but the tastebuds as well. These treats played a significant role in our lives, and it’s been such a joy to re-create these for family gatherings and be able to see my siblings once again appreciate some of the tastes of our past. 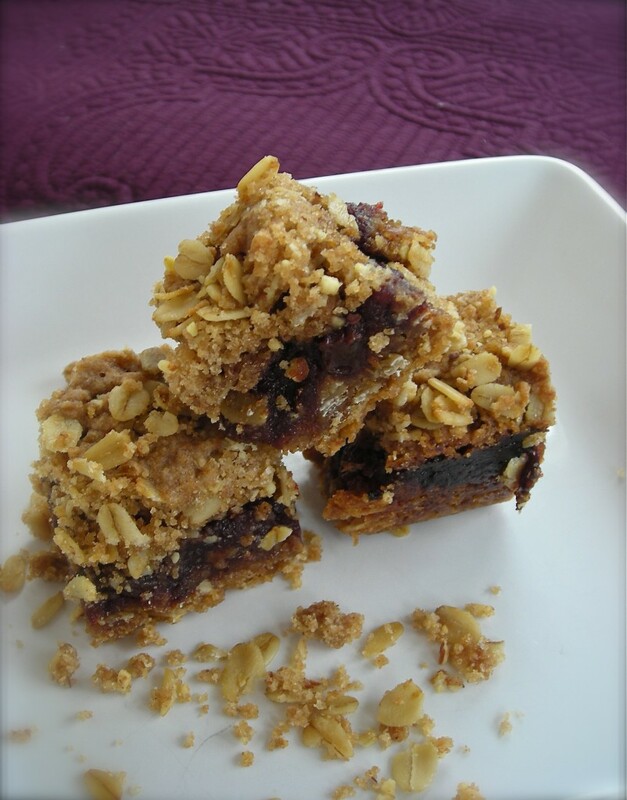 I personally have been searching for yet another taste of childhood, one that’s eluded me up until now- the taste of my Mom’s Date Bars. She made these especially for me, and for my sister Karen. We both loved the chewy date filling and crunchy oat topping. I was known to seek out the treasured edge pieces where the dates caramelized in the baking process, becoming firm and chewy, like date jerky if you will. I loved how it kind of stuck in my teeth, a sugary toffee feel in my mouth and I loved the anticipation of how the topping would crumble as I bit into it, catching the errant bits in my hand as they fell. My Mom’s recipe box sits in my cupboard, but no matter how many times I combed through it, I never found that particular recipe, the only one over the years that’s been outside my grasp. I’ve tried several other versions that have passed my eyes and not one has even been close. It was probably one of those recipes that came on a carton of oatmeal, that she made a few times and somehow lost it in a move, or quite possibly, it was something she’d memorized, a small part of my growing up that went dark when she passed away. 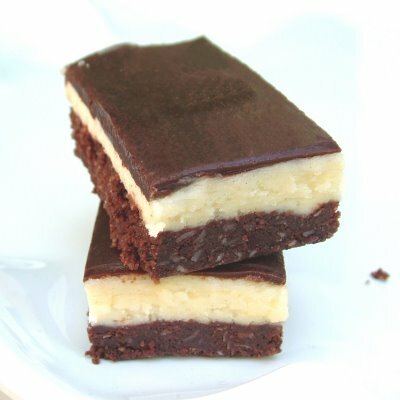 I could make her Peanut Butter Fingers, and the Coffee Toffee Bars that we loved; I could make the Sour Cream Drop cookies with the mocha frosting and pan after pan of Oatmeal Scotchies, even a batch of her famous Banana Bread but I could never find a recipe that brought back those Date Bars. I scanned dozens of them, and each one was cast aside, as I knew just looking at it that it would never be what I expected. Then I happened upon a recipe that sounded like the siren call bringing me back to that sunny kitchen, my Mom’s smiling face and those chewy caramelized edges of a bar that was just perfect. And years of wishing for one thing, one perfect treat from a time when I was small enough to lean an arm on the kitchen counter and be soothed by a crunchy and chewy bar made just for me, well that all fell away as I lifted the parchment sheet holding the thick mass out of the pan in my own sunny kitchen. The smell of these fragrant date bars made its way to my nose and the memory caught in my throat, threatening to send the tear ducts into overdrive. Smell and taste are so powerful in us, so driving us to seek those parts of our lives that have faded, sometimes too far for us to even recognize any longer. But this one had stayed, regardless of how long it had been, how far back I had to go to retrieve it, one whiff of this recipe and I was a tiny girl again, watching my Mom, with the scent of cooked dates in my head and the anticipation of that first bite, the shards of crunchy oats falling to my open palm, and her smile warm in my eyes. And I happily welcome back this treasured memory. I’ve been patiently waiting for it to return and now it will have a permanent spot in my kitchen. adapted from an original recipe, author unknown. 1-1/2 sticks unsalted butter, diced, softened but still fairly cold. Preheat oven to 350° and spray an 8×8 baking pan with cooking spray. Line with parchment paper so that it hangs over edge of pan. In small saucepan, combine dates, raisins and water. Bring to a boil, then reduce heat and simmer, stirring occasionally until all liquid has been absorbed and fruit is a thick, concentrated paste. This should take about 10 minutes. Remove from heat, stir in clementine zest and juice and blend well. Scrape onto a plate and spread to cool. In the bowl of a food processor, place ground almonds, both flours, salt, soda and spices. Pulse to combine. Add in brown sugar and pulse to blend. Scatter butter over top and pulse until mixture is like coarse uneven meal. There should be lumps of butter in all sizes. Pour this into a large bowl and stir in the oats. Press 2/3 of the mixture into the prepared pan, pressing down firmly. Spoon cooled date mixture over, spreading it to cover crust completely. Sprinkle remaining oat mixture over the top. Bake until top crust is golden brown and crisp, 30-40 minutes. Cool bars completely on a rack, still in the pan. Once bars are at room temperature, gently lift them out of the pan using the parchment paper. Slice into 2″ squares to serve. These bars are delicious when chilled. Keep in airtight container or refrigerated. Brownies are awesome, let me just get this out of the way. I can’t think of anything I like more than a good chewy brownie. Especially one from the edge of the pan where there might be a bit of dense crust that gets a little hard, more intensely chewy. Those are the best ones. And a corner piece? Rapture. I’ve always loved brownies, and all forms of them too. I like them with chocolate chips and without. I like them with toffee bits in them, I like them swirled with cheesecake, studded with some nuts or topped with a thick layer of ganache. I like brownies. And they have a special place in my heart in regards to my child too, because I have the fondest memory of my boy at the tender age of five, with a very loose tooth on the bottom- his first to be exact- and he had taken a brownie that was a little harder than normal since it was a few days old. He was sitting at our tiny little kitchen table happily chewing away when he suddenly got this look on his face that was a combination of panic and elation. “My tooth came out!” He exclaimed loudly. Then he opened his brownie filled mouth, reached in and withdrew his tooth, holding it out to me in the palm of his hand, thoroughly covered in chocolate. He was thrilled and smiled widely, while chocolate-y drool seeped over his lips. Then he did what any kid in his place does; out of sheer excitement, he opened his mouth to show me the empty gap. Yep. His mushed up brownie filled mouth. He was five. What else do you do but smile and praise him? And then tell that story over and over again for the next 11 years. I couldn’t help it. What a memory! These Brownies likely won’t ever cause a tooth to come out; they’re fudgey, moist and perfectly dense with a delectable chocolate taste. What they are, also, is really low in fat. I like that in a brownie, and I like even more when you get a product that’s low in fat that doesn’t taste that way at all. 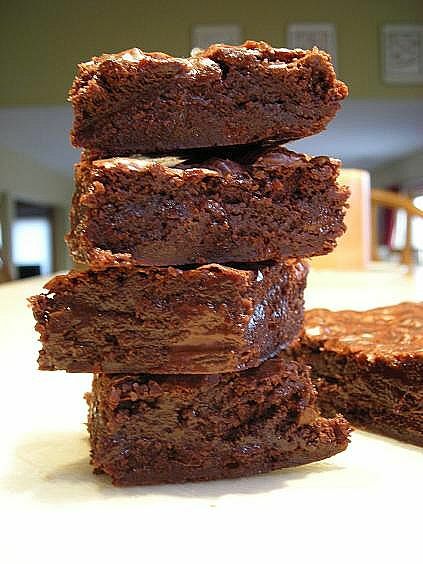 These are a quintessential brownie experience, a blast of rich chocolate, a sure-fire solution to that sullen mood, crappy day or the loudly demanding desire for something deliciously chocolate. Indulge at your own risk, and don’t say I didn’t warn you. Sift flour, confectioners’ sugar and cocoa together into a small bowl. Combine the 3 ounces coarsely chopped chocolate and oil in a heavy medium saucepan; place over the lowest heat, stirring, until just melted and smooth, being very careful the chocolate does not overheat. Remove from the heat and stir in granulated sugar, corn syrup mixture, vanilla and salt until the sugar dissolves. Vigorously stir in egg until smoothly incorporated. Gently stir in the dry ingredients. Fold in the walnuts (if using) and the remaining 2 1/2 ounces chopped chocolate just until well blended. It will be VERY thick. Turn out the batter into the pan, spreading evenly. Bake the brownies until almost firm in the center and a toothpick inserted comes out with some moist batter clinging to it, 20 to 24 minutes. Let cool completely on a wire rack, about 2 1/2 hours. Using the overhanging foil as handles, carefully lift the brownie slab from the pan. Peel the foil from the bottom; set the slab right-side up on a cutting board. Cut into desired size. Can be frozen. In fact, they are amazing from the freezer. Like killer good fudge. NUTRITION INFORMATION: Per brownie: 86 calories; 3 g fat (1 g sat, 1 g mono); 11 mg cholesterol; 15 g carbohydrate; 2 g protein; 0 g fiber; 19 mg sodium; 25 mg potassium.